Show your potential buyers social proof of your product sales and increase your revenue drastically using this Easy Digital Downloads add-on. EDD Sales Notifications plugin brings you a whole new horizon in a way to increasing your revenue from selling digital products using Easy Digital Downloads plugin. We have seen reports that indicates that displaying social proof to potential buyers in your landing page and help increase your revenue significantly. EDD Sales Notifications is an add-on for Easy Digital Downloads (EDD) plugin. You will need EDD plugin to be able to use this add-on. Easily configure your Easy Digital Downloads sales notifications using the built-in plugin settings. The settings have tons of options to help you get started in configuring the notifications. Want to hide the buyers name or hide the purchase date? No problem, you can change it easily from the plugin setting page. 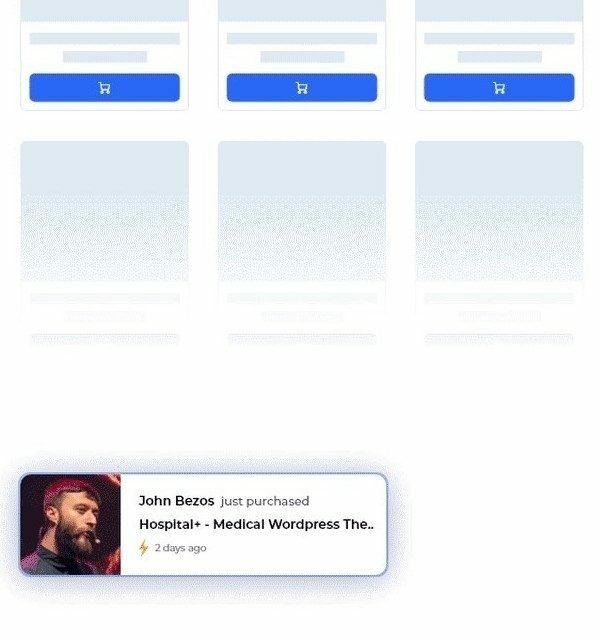 The notification will catch the site visitors eyes instantly because it’ will pop out directly in to the screen displaying the recent sales one by one. The notification box will display in random delay time to make it look more natural. Style the notification box the way you wanted it to look. There’s a lot styling options to help you style the notification box with ease. You can modify the background color, text color, text link color, notification box position and many more options. You can either display the buyers name in the notification or not. 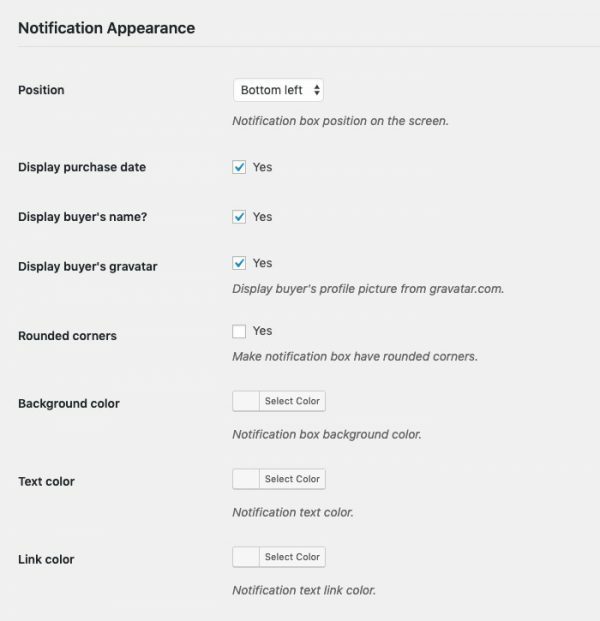 Add more social proof to your notifications by displaying the buyer's Gravatar image. You can easily set the delay range between notification. You can display or hide the purchase date by a single click. The order list displayed in the notifications is updated automatically (you can arrange this in the plugin setting). There's an option to limit how many recent sales should be displayed to the visitors. You can change how the notification box the way you wanted from the plugin settings page. You can easily set the position of the notification box to appear on the screen. Long product name can make notification box have a long width. You can limit numbers of words for the product name in the notification box before it's being cut off with an ellipsis.